A THOUSAND CHICKS FOR OUR BARN OWL PROJECT!! Howard Broughton. 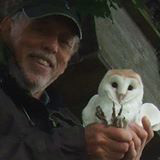 The Rushcliffe Barn Owl Project; affiliated to Nottinghamshire Birdwatchers, recently ringed their 1,000th Barn Owl Chick! 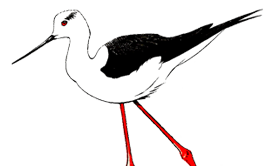 The group, that ringed their first chick in 2000 started the year on 967 so it was on the cards that this landmark would be reached this year, particularly when they started to find many of their nest boxes with breeding pairs. Steady progress was made with the 999th ringed on Gotham Moor on 6th July. It was then time to take a breather; the East Mids BBC had seen the 999th posted on our Face Book page and contacted me about filming the 1,000th. I didn’t want to be traipsing around boxes with a film crew in tow looking for a chick to ring, it might have been an ugly week old chick; no, I wanted a 6 week old one with the head pattern formed and well grown wings. We needed a recce and I knew from experience that a box out in the Vale of Belvoir was a reliable box with an experienced pair that were often early breeders. Sure enough, as I approached the box, I could see two full grown chicks sitting on branches near the box and they let me get very close before flying off. I climbed up to the box to find a younger chick not quite ready to fly which I hoped would still be in the box when I returned with the TV crew in 2 days time. 13th July and we met the TV Crew at the Haven Pub on the A52 for the 5 minute ride to the box. I told the cameraman that I’d first block the box and check what was inside; what a bonus; the 2 big chicks were back in the box with the younger which was to be the chosen one. The filming went well; Emily, the reporter first did a piece to camera as an intro to the piece; then I took the bird out of the box 3-4 times filmed from different angles; then ringed the chick with the camera in close up; then a bit of a chat. This made a nice 2 minute film that went out on the East Mids BBC evening news program which I filmed and posted on our Face Book page! Hopefully, the next 1,000 won’t take 16 years; since then, I’ve ringed another 43 chicks making it 75 for RUBOP, also 18 for Broxtowe BOP and 4 for the Wildlife Conservation Partnership. I have another 8 broods still to ring so could get another 20 chicks!! Thanks go to Chris Hughes, Gordon Ellis and Neil Pinder for their help over the last few years! !